ITI is a skill development programme by which a candidate focuses on a particular field of his/her choice. An ITI holder has more experience and perfection in the work than any other. Every year, many candidates participate in ITI Admission 2018-19 of their state and complete the course and get a successful job. 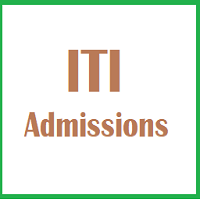 In this article, the information about ITI Admission 2018-19 is provided. Read the information carefully and apply. The duration of courses offered by various ITI colleges through ITI Admission 2018-19 varies from one to three years based on the trade chosen by candidates. Below is given the trades according to their duration of course. To acquire an NCVT Certificate, the candidate will have to undergo a practical training for minimum one year or two in his/her trade in an industry. After completing skill development programme, candidates will have both job and academic oriented prospect. Candidate will be interested to get an opportunity in the field of his/her course because, during the course, he’ll find interest in whatever study he/she does. Find admission into Diploma in Engineering for a better career opportunity. Choose specialized short-term courses in Advanced Training Institute (ATI). Also become an entrepreneur by opening winding shops, motor garage or repairing workshops. Explore a number of jobs in public and private sector for both engineering and non-engineering trades. Have ample job opportunities in foreign countries as well (if you are highly skilled). The age of candidates should be in between 14 to 40 years as on date of the beginning of admission session. Students need to read the brochure carefully before they apply for ITI Admission 2018-19. The mode of obtaining the application form is available in the information brochure released by the state in which you are looking to find admission. It is also important to check your eligibility before you apply for the entrance test. As the application form will be offline, candidates are advised to fill with precautions and try not to use fluid in the OMR application form. 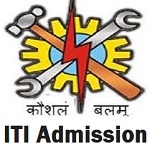 ITI selection procedure varies from state to state. Some of the states select students based on their merit in the qualifying exam while some conduct an entrance test for admission into ITI colleges. Candidates can explore the complete information simply by clicking the link provided below.